Wild animals are significantly more likely to carry the rabies virus than domesticated pets. Raccoons, skunks, coyotes, foxes and bats account for most rabies cases; but beavers and all other warm-blooded mammals can contract and spread the virus. Rabies cannot be cured. Wild animals are not vaccinated against the disease, and its spread remains. The rabies virus spreads from the infected mammal when it bites another animal. The virus is transmitted through the saliva, and an animal can be infected if saliva enters an open wound or comes into contact with the mucous membranes of the eyes, nose or mouth. If a beaver is attacked by an infected predator and survives the attack, it will become rabid following an incubation period that can last anywhere from a couple of weeks to several months. Beavers are not among the primary carriers for the rabies virus, and rabid beavers are not commonly reported. The Florida Department of Health reports one confirmed instance of a rabid beaver between the years of 1990 and 2009. 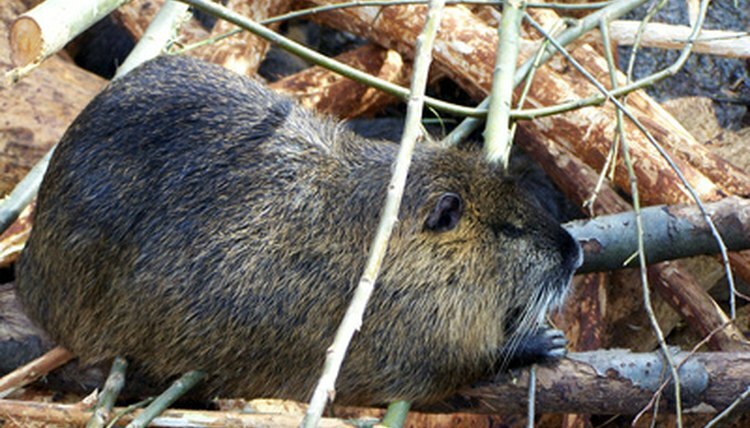 The Virginia Department of Health reports four rabid beavers in 2012 and none in 2011. In 2005, Maryland reported a single case of a beaver infected with rabies. The actual number of beavers with rabies is likely a bit higher than reported, as beavers do not commonly interact with humans and animals that contract the disease in the wild are likely to become infected and die without being noticed by humans or reported to authorities. Interacting with wild animals is a bad idea; it rarely benefits a wild animal and it can get you hurt, infected or killed. Avoid interfering with beavers if you encounter them in their natural habitats. If you encounter a beaver outside its normal habitat, such as in a parking lot or your back yard, call your local animal control authority and report the animal so professionals can deal with it. You don't have to be an animal behaviorist to tell if a beaver is exhibiting symptoms of rabies. While the early signs of the disease, such as lethargy, weakness and anorexia, would be almost impossible for an average person to notice without significant observation, some of the later symptoms are more obvious: Beavers that are extremely aggressive, struggling to eat or breath, paralyzed, experiencing tremors, having seizures or foaming at the mouth need the attention of authorities.